Looks like we will be off in just 7 days!!! I will be with Bushrider in Black Hawk, an 7m Osprey with a 250hp etec. Black Hawk completed Round Island in 2013 with her last owner. I will meet Bushrider (Jurgen) for the first time on Wednesday 23rd at Biffers Custom Rib Workshop where we will have a good look at the boat and also pack our kit. I'd love to do a Round Britain challenge, so long as I wasn't paying the fuel. Il do a bit of it with you all though, somewhere between Oban and Inverness. I have done many changes to the boat which are not shown there (yet) but we - Alex & myself will provide more info about RIB & kit while on the trip . Indeed - the Black Hawk is located in Berlin but I am employed by a Caterpillar dealer and work permanently in Ukraine . That makes things even worse cause I have very limited time to work on the boat . 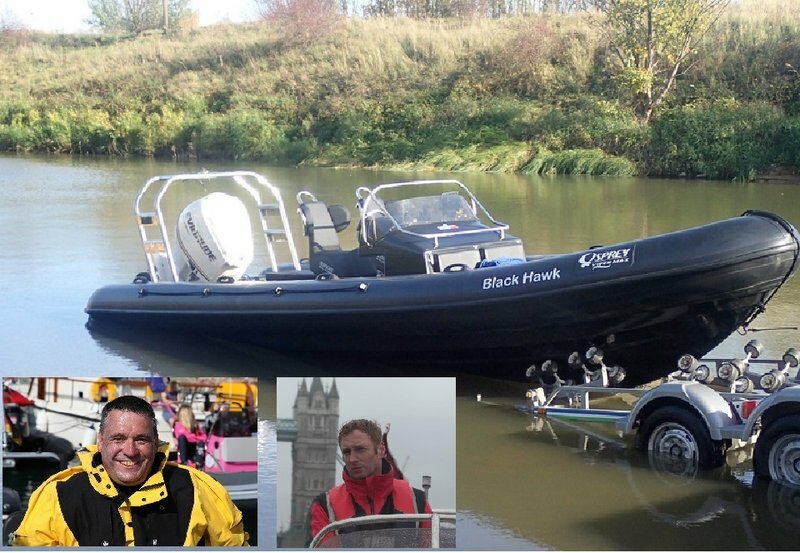 But as Alex mentioned - Black Hawk made it last year without issues with Mike & Ross round Ireland . I was on the same journey and skippered a SR 5.4 with an 90 ETEC . Also my boat never missed a beat and I made it round . I am looking VERY MUCH forward to this adventure and most of all to meet with many friends from last year and also with a lot of other Ribnet members ! MANY thanks to all of you who supported Alex and me with this journey and to all guys who organized this unique adventure ! Enjoy with us the trip ! Our trip is 100% paid for by ourselves and the running costs and helming are being split 50/50. You will be passing my front door so il definitely be out, how long I stay with you depends on the handbrake, its her birthday that day. Hope you get some decent weather and stay safe out there. Like the colour scheme Jurgen! See you off Poole yea?